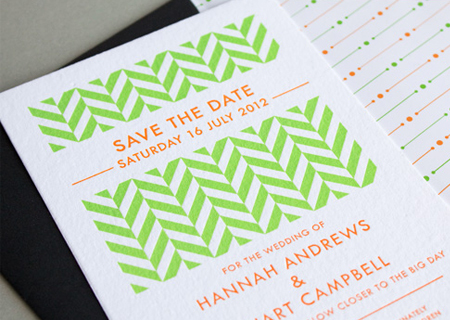 Yield Ink are graphic designers and letterpress printers, offering the best of both worlds. We design and print wedding invitations, save the date cards, rsvps, place cards and menus. We print in-house on our vintage presses using luxurious 100% cotton card, coloured (FSC accredited) or recycled stock. We also print a range of stationery items, including personalised note cards.